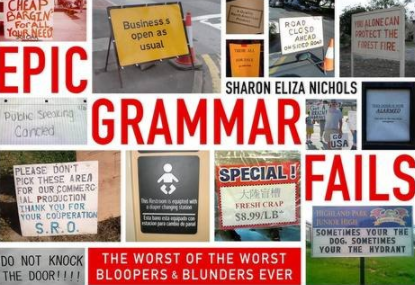 We start this week off with a celebration of bad grammar. No, not that celebration. A different celebration. One that has been going on for some time, and is now collected in a handy, bathroom-sized book. 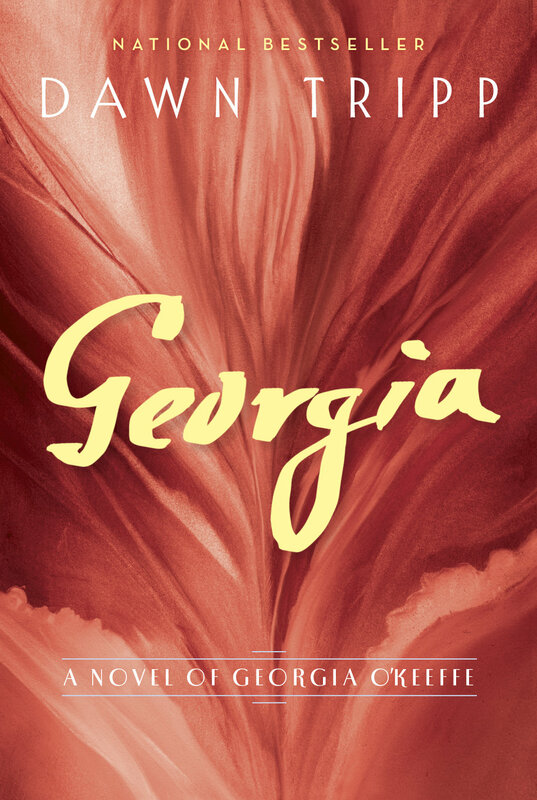 Sharon Eliza Nichols’s Delusions of Grammar is being handed around the store this week, and we’re all reading and goraning (sic) about the terrible, horrible things that are being done with apostrophes, missing letters, and homonyms. We’re glad that Ms. Nichols and her Facebook friends are keeping an eye out for mangled grammar, because, well, sometimes a misplaced apostrophe is a fine source of amusement during an otherwise dreary and rainy day. And yes, it has been raining this week, and judging by the furry bear that wandered into the store early this week, other places have had snow. We cleaned up the bear a bit and put him to work, which is all bears really want at this time of year when they should be hibernating, anyway . 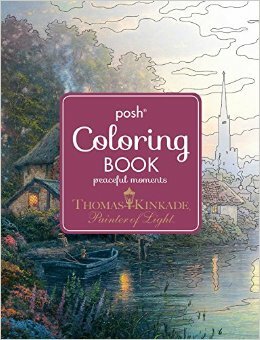 . .
And speaking of keeping busy during the winter months, we’ve now officially hit peak coloring book with Peaceful Moments, an official Thomas Kinkade Painter of Light coloring book. It’s all downhill from here, folks. Or, rather, a slow descent into lugubrious darkness where all your pencils are worn down to nubs and the ink in your pens has all dried up. Once, you transform yourself into a genuine Aspirant of Light Painting, you won’t want to color anything else. 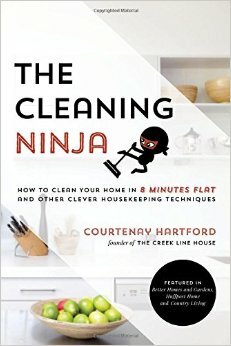 And speaking of eye-opening experiences, Courteny Hartford’s The Cleaning Ninja purports to tell us the secrets of cleaning our homes in eight minutes flat. And it, um, well, we just got lost in reading Ms. Hartford’s many tips for making laundry time more like a fleeting fancy than a full-time job. And there’s many pages of other tricks as well. 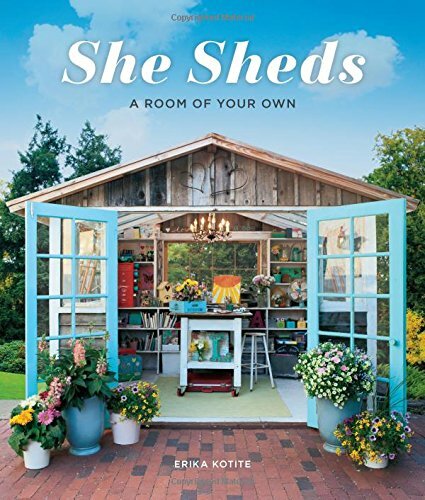 And speaking of putting the men in your life to work, Erika Kotite’s She Sheds is a colorful compendium of homemade sheds, workspaces, artist studios, and other micro-getaways that have been built with an appreciation of things in life other than a bunch of dirty tools and a handful of paint buckets. 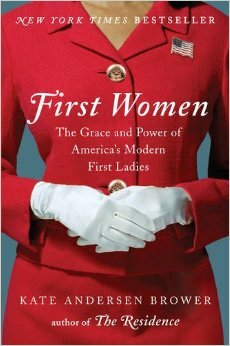 And speaking of awesome ladies, Kate Anderson Brower’s First Women: The Grace and Power of America’s Modern First Ladies and Nathalia Holt’s Rise of the Rocket Girls: The Women Who Propelled Us, From Missiles to the Moon To Mars are both out in paperback this week. 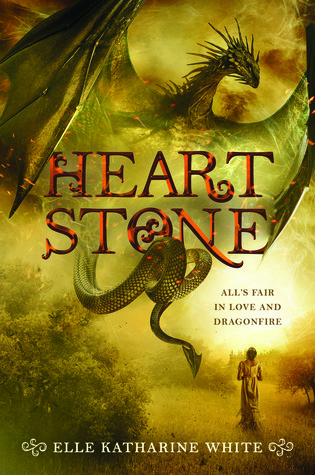 And while we’re on the topic of head- and heartstrong ladies, Elle Katharine White’s debut historical fantasy novel, Heartstone, is out in paperback this week. It’s a little bit Jane Austen, salted with a dash of George MacDonald and a pinch of Alexandre Dumas, and then layered with Naomi Novak. Well, if it were a lasagna, that is. Which it isn’t. But you get what we’re saying, right? Oh, look, a new Veronica Roth novel. 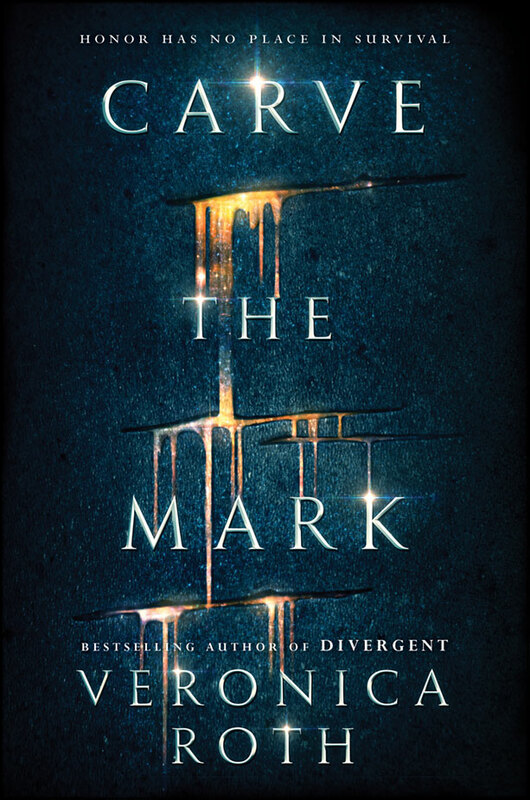 Now that the Divergent series has run its course in theaters, we need a new series to gobble up, and Ms. Roth is ready to meet our needs with Carve the Mark, the first volume in a new series where boy meets girl and girl has magic powers, against a star-spanning backdrop of honor and betrayal and weird science fiction elements. All throughout, boy and girl must save everyone else so they can demonstrate their undying love for one another without actually coming out and saying it. 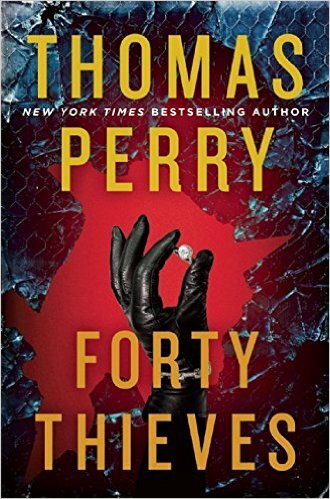 And, finally, speaking of complicated dance steps, Thomas Perry’s Forty Thieves is out in paperback this week as well. Staring the husband and wife detective team of Sid and Ronnie Abel, as well as Ed and Nicole Hoyt—crack assassins for hire—Forty Thieves provides chase scenes, steamy love affairs, a diamond heist or two, as well as numerous Eastern European thugs. You know, the standard sort of complicated weekend most of us get dragged into on a regular basis, but with a higher budget and better lighting. ALICE: Hello, marmot. How are you today? ALICE: You look like you have something on your mind, marmot. COLBY: What? Me? No. no. no. Nothing on my mind. ALICE: Is there something perplexing you? COLBY: No, I’m entirely un-plexed. ALICE: You’re not bothered by the sign board down the road that spells “chili” with two ‘l’s? Twice? COLBY: Oh, that’s no good. That’s no good at all. I should go down there and fix that. ALICE: You should, and when you come back, you can tell me what’s really bothering you. COLBY: Nothing is—okay, fine. Yes, there is something amiss. ALICE: Amiss? This sounds ominous. COLBY: It’s not. Or maybe it is. I don’t know. I’m not qualified, actually, to talk about it. ALICE: And yet, here you are, doing your very best to talk all about it without actually saying what ‘it’ is. COLBY: <sigh> Really. I shouldn’t say anything. ALICE: We’re past that point, marmot. Spit it out. COLBY: He’s been in recently. ALICE: And why wouldn’t he? It’s a lovely store. ALICE: Who can tell what constitutes normal with that man. ALICE: And it is your company that he finds such a draw? COLBY: Uh, I really don’t think I should say. I mean, that would be telling on Bob, and—uh—I shouldn’t do that. He might be angry with me. ALICE: And what do you think he would do if he got angry? COLBY: He might threaten to turn me into a hat. ALICE: He does do that, doesn’t he? ALICE: Well, do you know the difference between what he’ll do and what I’ll do? ALICE: You’ll still be alive when I turn you into a hat. ALICE: See? That’s wasn’t so hard to say now, was it? ALICE: And can I assume that the running together of those three words in indicative of a physical proximity between these two? COLBY: Um . . .
ALICE: I might put a feather in your rump. When I make you into a hat. COLBY: I really have said too much. ALICE: It’s too late now, marmot . . .